Frustrated with that generic programming cable? This $2 solution might just be your ticket to sanity. and Windows (TM) 10 keeps changing your drivers. But wait, yours has the company name and logo right on the cable. – It doesn’t matter. Keep reading. 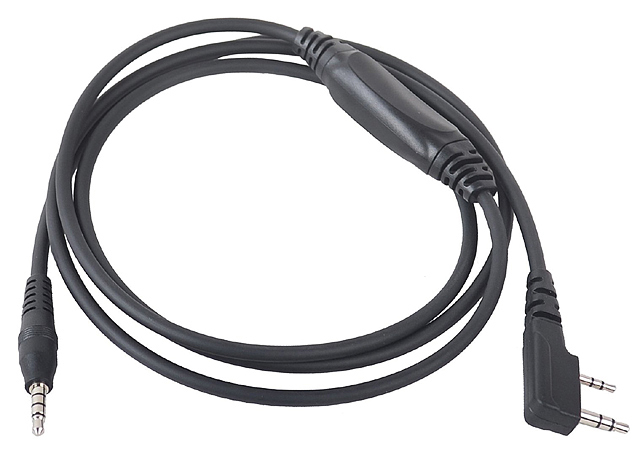 There are a few options available, such as an FTDI cable. It’s truly Plug ‘n Play, and costs about $20. But here’s a project that just might solve the issue for around $2. All you need is a small flat blade screwdriver, a soldering pencil, and a CP2102 board. 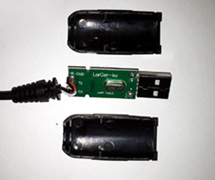 The CP2102 is a USB to TTL UART chip. What? 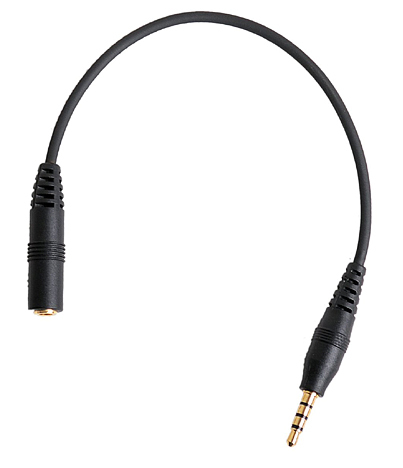 Long story short… It’s the same thing that’s in your current cable now, except these work. CP2102 boards can be found on eBay for around $2 and on Amazon. Let’s start with that original cable. Take a small screw driver and pry the open the case from the back where the cable enters. It should only be snapped together. Unsolder the 3 wires connected to the board. GND is Black, TX is Red, RX is White. Solder the 3 wires to the corresponding terminals on the new board. Note 1: Some boards may have the TxD and RxD reversed. If it doesn’t work the first time, reverse the two wires. No damage has been done. When you insert the new board into the USB port, give Windows a chance to find and load the new driver. Should take about 30 seconds. When it says Driver Found, you’re done. If the driver is labeled CH340 instead of CP210x in Device Manager, that’s not a problem. Both chips are designed to do the same thing. 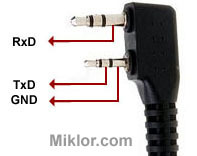 If you don’t have a generic cable, you can use 2.5 and 3.5mm stereo jacks. Here are the pin outs, and what Jim’s (KC9HI) cable looks like. If you are adventurous, try retrofitting the new board inside the original plastic housing. This will require a Dremel tool, X-Acto knife, Glue, and some patience, but it can be done. If the board only has 5 terminals instead of 6, it’s not an issue. You only need GND, TX and RX. Some come protected with a piece of clear heat shrink over the board so you can see the cool blinking lights. For about a dollar or so more, you can find the same boards in a metal case. – First and Foremost, it works. Take the radio out of the drawer, program it and have some fun. – Next, it only cost around $2 to save the generic cable from the trash. – Very Important – Bragging Rights. Now, when you go to a club meeting and someone says they can’t get their cable to work, tell them they can build their own, just as you did. I hope you had fun with this project. It’s super simple and very rewarding. I’ve made several and never had a failure. Say goodbye to driver issues. The new UV-82HP is not just a power upgrade, but a combination of all major features of both the UV82 and UV5R series in one package. The radio sports all traditional features of the UV82 design, with the larger keypad buttons and the zero at the bottom of the number pad where it belongs, etc. It also is built using the latest generation chipset. 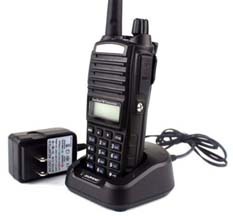 – The frequency range is the full 136-174.99 MHz, 400-520.99 MHz range. – Live On-the-Air audio reports are excellent. – Alpha tags can be added with the required software below. – The receiver sensitivity is still excellent. So, What makes this version an upgrade? – Next came the UV82C which included options to synchronize the Dual PTT function to emulate a Single PTT, and the ability to lock out the VFO to prevent accidental field programming. – Next came the 8W F8HP, the first of the high power Baofengs. – An expanded feature added is R-Tone, a repeater tone for those requiring a 1000, 1450, 1750 or 2000Hz audible tone for access. This is not to be confused with CTCSS or DCS. Prior models provided Burst for 1750Hz only. The UV-82HP now includes all of the above features in one package. The PTT synchronizing, VFO lockout, High Power, R-Tone, and newest generation chipset. It has kept the traditional UV82 case design to ensure compatibility between all existing options, including Dual PTT Spkr/Micr, battery cases, holsters, battery eliminators, etc. As mentioned above, with software, the UV-82HP can lockout the VFO mode to prevent accidental changes. The Factory Software has been added to the Miklor.com Software section. The radio has also now included in the Latest Daily Build of CHIRP. Note: A programming cable is required to run the software. Acquiring a quality cable is highly recommended. You will spend more time using the radio and less time trying to load special backdated drivers to your PC. 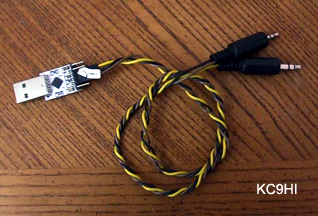 A generic cable is less expensive, but a cable with an FTDI chip is Plug ‘n Play. The UV82HP allows locking the PTT Button to simulate a Single PTT and override the Dual PTT feature. As you may have expected, running the UV82HP software will not activate or create new features on an older UV-82/82C. All of my accessories for the standard UV82 are compatible, including the Dual PTT speaker/micr. With the exception of the battery and charger, all UV5R accessories work as well. You can always run this radio in low/mid power to conserve battery, but when you need the extra power, it’s there.It’s nice to see a true upgrade of features to the UV82 series, and not just a fancy case or the addition of extra letters and numbers to the UV82 label. A full in-depth Technical Review of the Original UV-82 was done by Hans last year. My review of the Baofeng UV-82 seems ages ago. At first I thought that the erratic / defective chargers were just bad luck, but six months later complaints are still rolling in. The fix (link) was easy — no technical knowledge required. John Reinhart made a video of the process and posted it on Facebook, which I %$@&#* couldn’t watch without having an account. John immediately sent me the original, which I then posted on Youtube. Have fun.